Recession blues botched your plans for a new Bimmer? As we write this, BMW is extending some sweet financing deals—offering to pay the first two months' payments in a deal brokered with APR of 0.9 percent. If you want either the 335i sedan or 335i xDrive sedan, BMW will still pick up the first two payments but ups the APR to 2.9 percent. The 2009 BMW 3-Series is an enthusiast's dream, yet not-quite-perfect safety ratings, smallish rear seats, and some fussy controls might wrinkle potential buyers' noses. Expert reviewers at TheCarConnection.com consulted what the most authoritative auto critics have written about the new BMW 3-Series to produce this conclusive review of the new BMW 3-Series. 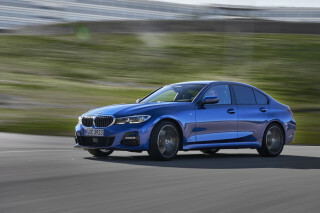 TheCarConnection.com editors have also driven the 3-Series in its several body styles in order to interweave our expert opinion and help you make the right decision on a new vehicle. BMW's 3-Series has thankfully been spared the styling excesses of the recently departed Chris Bangle. 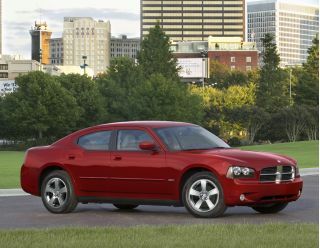 Retaining a graceful, athletic stance, the sedan is handsome and the coupe beautiful from nose to tail. Bits of Bangle's flame-surfacing add interest and flair, but here they are restrained and fitting with the 3-Series' mission. The interior in the 2009 BMW 3-Series is traditional BMW: elegant, purposeful, and luxurious in purity and restraint. Too bad the rightfully maligned iDrive ends up on many editions; the base edition's unbroken dash and simpler operation keep it focused on devouring every foot of tarmac it traverses. BMW claims to have made iDrive a bit easier with shortcut menu buttons surrounding the controller, but it's only a modest improvement. BMW's 3-Series doesn't have that big a backseat, especially in the coupe version, where the rear is best reserved for short hops. Clever seatbelt extenders eliminate the awkward reach in the coupe, and despite admirable solidity, the long doors avoid being too heavy or unwieldy. The base and optional sixes in the 2009 BMW 3-Series, both 3.0 liters large, continue BMW's steadfast allegiance to the inherently balanced inline cylinder layout. The base engine yields 230 horsepower and 200 pound-feet of torque; it feels far more powerful than those ratings suggest. The uplevel twin-turbo, at an even 300 hp and 300 lb-ft of torque, melds turbine-like smoothness with blistering acceleration. The base 2009 BMW 328i model is no slouch, combining a 6.2-second sprint to 60 mph and impressive EPA ratings of 18/28 mpg with the manual (6.8 seconds, 19/28 mpg with the auto). The 335i isn't hugely quicker, at 5.3 seconds to 60 with the manual, 5.5 seconds with the auto, but the 300 lb-ft of torque—available nearly all the time, due to a quick-spooling twin-turbo setup—means there is never any waiting for copious power. Passing maneuvers in the turbo are breathtaking. And EPA numbers only drop to 17/26 mpg with either the manual or the automatic. All-wheel drive (xDrive in BMW parlance) is available with both engines and transmissions, but it adds weight, loses some of the nimble feel, and reduces mileage; this option is best reserved for icy climes. Ride and handling are perhaps the 3-Series' most outstanding features. The steering is telepathic regardless of speed, surface, and all but the worst pavement irregularities. The ride is plush, planted, and secure, and it's difficult to fluster in corners. Active steering is an expensive option on some models, but we advise against tampering with perfection; some have criticized the system as feeling occasionally strange and artificial. The 10-speaker sound system includes two subwoofers and is as crisp, usable, and powerful as everything else on this vehicle. Alas, only an auxiliary input jack comes standard; if you want the radio to interface with and charge your iPod, you need to pony up an extra $400 for the USB option. A host of options in the electronics department ramps up the price of the 2009 BMW 3-Series models quickly and doesn't add to the car's driving excellence, but buyers in this segment appreciate and often buy such items as active cruise control ($2,400), the cursed iDrive navigation/infotainment system ($2,100), power front seats ($995), and Logic7 Surround Sound ($875). The most compelling options for the 2009 BMW 3-Series are the aforementioned USB/iPod interface and the $750 BMW Assist with Bluetooth. A Sport Package, at $1,450, ups wheel size to 18 inches and includes grippy run-flat tires and well-bolstered sport seats; this is a good pick for the serious driver. The Premium Package, a pricey $3,350, doesn't represent a great value (auto-dimming mirrors, digital compass, Bluetooth, power seats, lumbar support, universal garage door opener) unless you simply must have all those features. Good, but not stellar, showings in crash tests from the federal government and the insurance industry sully the 3-Series' reputation for being on top. The 2009 BMW 3-Series was rated four out of five stars in the federal frontal test and five stars in the side test, and a sedan was given the top "good" rating in frontal offset and side tests but "acceptable" in rear impact. The 2009 BMW 3-Series offers attractive exterior lines and an interior designed to appeal to driving enthusiasts who don't want excessive cabin styling. BMW's foray into cutting-edge styling with former chief designer Chris Bangle's "flame surfacing" technique was a failure among both critics and consumers. In an effort to return to the days of critical acceptance of its vehicles, BMW has ditched flame surfacing for its more traditional, and very graceful and athletic, styling cues. Reviewers are very impressed with the revised styling of the 2009 BMW 3-Series, which Motor Trend says now has "a slightly sharper, more muscular appearance than its predecessor." This set of BMW 2009 models—"available in sedan, wagon, [and] coupe" variants, according to Cars.com—comes in either 328i or 335i trim, depending on the engine option. Reviewers have noted that small changes to the car's appearance should make it more appealing, which Car and Driver punctuated with "friendlier-looking" front air intakes and better looking headlights with LED turn signals housed in a cool-looking grid. 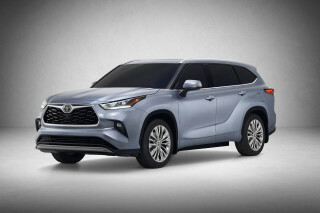 Edmunds reviewers point out that "some of the sedan and wagon's more questionable styling elements have been rectified" with the addition of "a new front fascia that's reminiscent of the sexier coupe and convertible." For those who need a little more space than the coupe or sedan can offer, Car and Driver declares that the BMW 3-Series "station wagon looks better than ever, and some at BMW believe U.S. sales may pick up soon." If you're seeking a flashy interior, TheCarConnection.com's research suggests that you might want to look somewhere other than the 2009 BMW 3-Series. It's not that there's anything wrong with this BMW 2009 lineup's interior appearance, but rather that the interior tends toward the conservative side. Edmunds finds that the BMW 3-Series "interiors provide a restrained show of luxury," and although they can be "a tad plain, the emphasis in on driver comfort and involvement"—elements that no driving purist can argue against. For the 2009 BMW 3-Series, Motor Trend notes the availability of "new colors and materials" on the interior, while Automobile Magazine raves about the fact that the "ergonomics are great, though [they] miss the angled IP of the last-generation [BMW] 3-Series." The only complaints regarding the interior layout come from ConsumerGuide, which gripes that the "audio and climate controls are compromised by their low mounting position and some cryptic markings." Is the 2009 BMW 3-Series still the "Ultimate Driving Machine?" All signs point to yes. One stint behind the wheel of the 2009 BMW 3-Series is enough to realize that BMW hasn't lost touch with its long-standing reputation for making cars for those who enjoy driving. BMW has made a name for itself in many ways, but perhaps none more significant than its trademark inline-6 engines. A pair of these engines power the 3-Series, with or without turbos. Motor Trend wrote that the inline-6 engines underhood were "sublime," and TheCarConnection.com reviewers agree; there's not a bad pick between the 328 (inline-6) or the 335 (turbo-6). 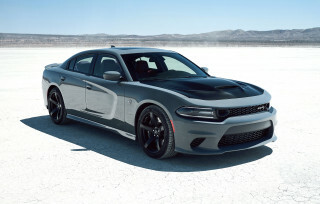 The base engine is found in 328 models, and produces 230 horsepower and 300 pound-feet of torque, reports Cars.com. 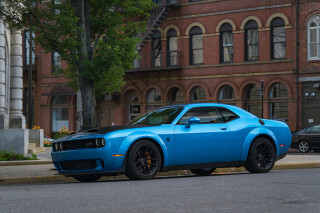 Edmunds notes the jump up to the 335 bumps the horsepower up to 300 hp and 300 lb-ft, and Car and Driver reported that the engine was "exceedingly capable" all the way up to its 155 mph top speed. ConsumerGuide wrote that the 2009 BMW 328i had smooth power for around-town running and highway passing, but that the 335 had power to spare with no noticeable lag from the turbos. The 335i coupe is the fleetest among the 3-Series range, and ConsumerGuide noted its 4.7-second 0-60 mph dash. The 2009 BMW 3-Series offers a choice between two transmissions, a 6-speed manual or 6-speed automatic, the latter can be fitted with steering wheel-mounted paddle shifters, according to Edmunds. Car and Driver reviewers reported that all versions are standard with rear-wheel drive, while the some versions offer all-wheel drive, which BMW calls "xDrive." Road & Track notes that the 335i can be equipped with all-wheel drive as a sedan, but not as a wagon. 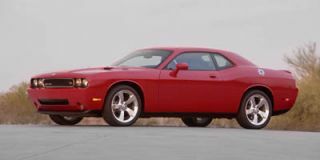 ConsumerGuide wrote that both transmissions were adequate, but that the 6-speed automatic hesitates to downshift sometimes when pressed to pass. Despite the prodigious power, Edmunds reported that most models of the 3-Series were relatively fuel efficient. The 328i coupe and sedan models are the most fuel efficient, earning EPA figures of 18 mpg city, 28 highway. Opting for the bigger engine in the 335i will net a 17/26 mpg rating in rear-drive coupes and sedans, opting for all-wheel drive and a manual transmission returns 16/25 mpg. All-wheel-drive 335i models manage 17/25 mpg. 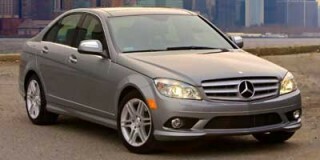 Wagons with a manual manage 17/27 mpg, and opting for an automatic only improves that slightly to 18/27. Adding all-wheel drive to a wagon, which is 328i only, returns 17/25 mpg. The 3-Series drives exceptionally well and deserves its title as one of the best-handling sedans on the market, according to TheCarConnection.com's research. Motor Trend marveled at its ability to carve canyons at triple-digit speeds or take children to school in the morning. Automobile Magazine wasn't shy in declaring that the 3-Series was the best driving car in its class, thanks to good steering and a balanced chassis. ConsumerGuide raved that the 2009 BMW 3-Series models are a benchmark for handling, and even in base setup had "sharp moves" and little lean in turns. Edmunds predicted that the steering and brakes would provide hours of entertainment on twisty roads and ConsumerGuide agreed, noting that braking was powerful and stable, with little nosedive. For impeccable build and materials quality combined with a comfortable, quiet cabin, look no further than the 2009 BMW 3-Series. Seating capacity for the BMW 3-Series is exactly what you would expect: wagons and sedans hold five, while the smaller coupe holds four, according to Cars.com. Predictably, front-seat passengers in the coupe will be more comfortable than rear-seat riders, TheCarConnection.com discovered. ConsumerGuide found that head room and leg room in the 3-Series was good for all but the tallest drivers, and that the seats were well-bolstered to hold occupants in place during spirited driving. Edmunds wrote that adults should use the rear seats for short trips only, adding that most will take exception to being stuck behind the driver or passenger for long hauls. For daily drives, the 3-Series is a standout in most respects, but the coupe lacks cargo capacity to be all things to all people. 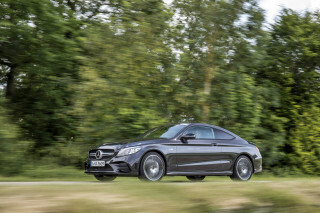 ConsumerGuide wrote that the coupe's small opening won't hold large packages, but it is helped by standard split-folding rear seats that open up for more room. Split-folding seats aren't standard on sedan models, but they help maximize the space in the trunk. Cars.com reports that the sedan's trunk holds 12 cubic feet of cargo with the seats up, but the most space-efficient version is the wagon. Edmunds wrote that the five-door wagon holds the most gear, thanks to more vertical space from the tall hatch. Most critics have praised the build quality of the 3-Series, noting the luxury-car level of interior materials and attention to detail. 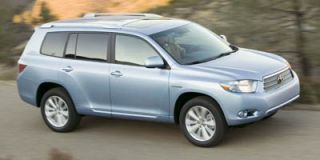 ConsumerGuide wrote that the cabin has soft-touch materials all the way around, with a sturdy feel—going so far as saying that the car had an "ingot-solid" construction. Edmunds lauded the materials as "exceptional" and Car and Driver noted the upgraded materials from the last generation of the 3-Series, which was a high bar that was set by the automaker. ConsumerGuide and Car and Driver noted the quiet cabin and lack of wind noise at most speeds. We've found that it takes effort to hear a thrum from noise coming off the tires, and Car and Driver agreed by saying that the interior is well isolated. ConsumerGuide found that tire noise was minimal, but that at speed there was some highway noise leaking into the cabin. Despite a crash-test record that isn't quite perfect, the 2009 BMW 3-Series offers safety features that are more than competitive for the class. You might expect that such sound construction of the 2009 BMW 3-Series would lead to appropriately high crash-test ratings, and in this regard, the 3-Series is good but not quite at the top of its class. Fortunately, reviews read by TheCarConnection.com show that the BMW 3-Series boasts a number of first-rate safety features that help keep occupants safe. In both IIHS and NHTSA testing, the 2009 BMW 3-Series scores much better than average. In fact, the BMW 2009 lineup of 3-Series vehicles is one of the top performers of any model in IIHS tests, earning the highest possible rating, "good," in both the frontal offset and side impact categories. The BMW 3-Series also warrants a 2009 Top Safety Pick award from the IIHS, which cites 2009 BMW 3-Series' "good performance in front, side, and rear tests and standard electronic stability control" as the primary reasons for the distinction. Although NHTSA is generally regarded as having less rigorous scoring procedures, the BMW 3-Series does not manage to sweep these federal crash-test ratings. In both driver- and passenger-side front impacts, the BMW 3-Series merits four out of five stars for occupant protection. However, the BMW 3-Series lineup achieves some redemption in the side-impact category, where it garners a perfect five-star rating from the NHTSA. The 2009 BMW 3-Series is a technological showcase, and not just for the convenience features found inside the cabin. The BMW 3-Series also features an array of high-tech safety gear that constantly monitors the vehicle's performance, as well as the usual passive safety features that consumers have come to expect. Cars.com relates that the "standard safety features include: antilock brakes, electronic stability system, [and] side curtain airbags," while ConsumerGuide reports that "front side airbags" are also standard. Edmunds reviewers add that "run-flat tires" come standard, and the "stability control system integrates several features designed to improve braking performance, such as periodically wiping the brake rotors dry when the windshield wipers are in use." BMW has clearly designed the 2009 BMW 3-Series to offer good visibility in all directions. ConsumerGuide reviewers find on their test drive that "thick front pillars can obscure vision to the forward corners," but they also note "rear visibility is fine," a welcome feature for those who loathe navigating parking lots or freeway lane changes. The 2009 BMW 3-Series has some appealing options packages, but beware the steep prices associated with the various checkboxes. 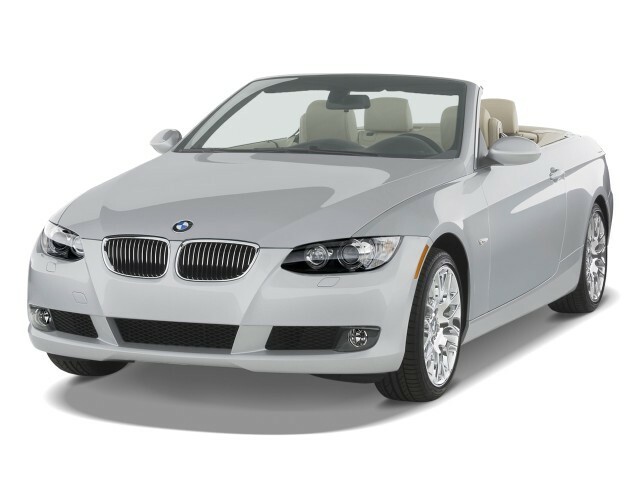 The 2009 BMW 3-Series is both a sportscar and a luxury vehicle, as evidenced by the rather high starting price, and BMW offers features to match its luxury intentions. For the most part, the standard equipment in the BMW 3-Series is on par with its competition, but TheCarConnection.com was disappointed to discover that a USB connection isn't included. Aside from that omission, Cars.com reported that keyless ignition and automatic climate control were part of the standard features. Edmunds went further, adding heated side mirrors, a sunroof, leatherette, and a 10-speaker AM/FM/CD audio system with auxiliary input as standard. Opting for the 335i nets that equipment, and more, including 17-inch wheels, xenon headlights, and a power-adjustable driver's seat with memory. BMW offers a base 3-Series at a relatively competitive price, although it'd be hard to find a bone-stock car on many lots. Most 3-Series will be equipped with the Premium Package, which includes leather seating surfaces, Bluetooth connectivity, and BMW Assist telematics, and auto-dimming mirrors, Edmunds reported. Automobile magazine wrote that the $995 for power-adjustable front seats was "money well spent." Motor Trend noted that the 3-Series can be equipped with internet access and a new audio system, which can download preset destinations entered online by owners and reduce the hassle of entering manually each destination for every trip. Motor Trend also claims that "a revised iDrive system with more intuitive menus" is available, although it's still possible to skip iDrive altogether by not opting for a factory-installed navigation system, which Car and Driver noted. Although many options are bundled in pricey packages, it's worth noting that there are a few that can still be added a la carte. Edmunds lists adaptive cruise control, front and rear parking sensors, active steering (335 models only), paddle-shifters, HD and satellite radio, surround sound, and an iPod adapter. I love this car . It meets my expectations in so many ways , performance being being #1 . It's a great car car for those of us who enjoy the sports car feel! Great car with the M Sport pkg , Has a116,000. Miles so far been great , average 31 mpg on the road. No problems, bought the car used 1 owner 3 yrs ago. This is our. 2nd Bummer. 1st was a 330cic. Fun Car and is a great value used. I bought used with 70k miles on it. The car was a great deal and has been wonderful so far. The engine is very smooth and Powerful. Gas milage has been great so far . 32 on the highway and mid 20 in town... I bought used with 70k miles on it. The car was a great deal and has been wonderful so far. The engine is very smooth and Powerful. Gas milage has been great so far . 32 on the highway and mid 20 in town. Handling is amazing. I am worried about the supposed repairs which are coming but the car has been rock solid so far. Seats are very comfortable. Stereo sounds great. NO spare tire seems dumb. 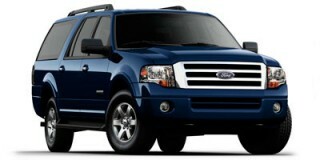 Fun, reliable, economical and very solid. This is my first BMW and although I just loved the drive and looks when I bought it new I was apprehensive about reliability and maintenance. Well its 90,000 miles later and I realize that other than a Lexus... This is my first BMW and although I just loved the drive and looks when I bought it new I was apprehensive about reliability and maintenance. Well its 90,000 miles later and I realize that other than a Lexus GS 430 I drove 2005-8 the BMW is the most trouble free, confidence inspiring ride I have ever owned, and I have owned about 15 cars over the past 45 years of driving including Audi, Acura, Honda, Volvo and 3 different Lexus cars. Very impressed with the nice power of the six cylinder and the brakes strong and transmission very precise. The thing handles great, is very quiet and gets 26 MPG around town and 34 mpg on long drives. I have had a local independent BMW service dealer complete oil changes and brakes and after 90,000 miles my cost of ownership has been super low. Battery replacement was $350 at the dealer (biggest repair) which I consider way too steep, but nothing else has broken! A very, very nice car in every way!